Biofeedback. A Promising Treatment for ADHD? – WellPsyche. Beyond. 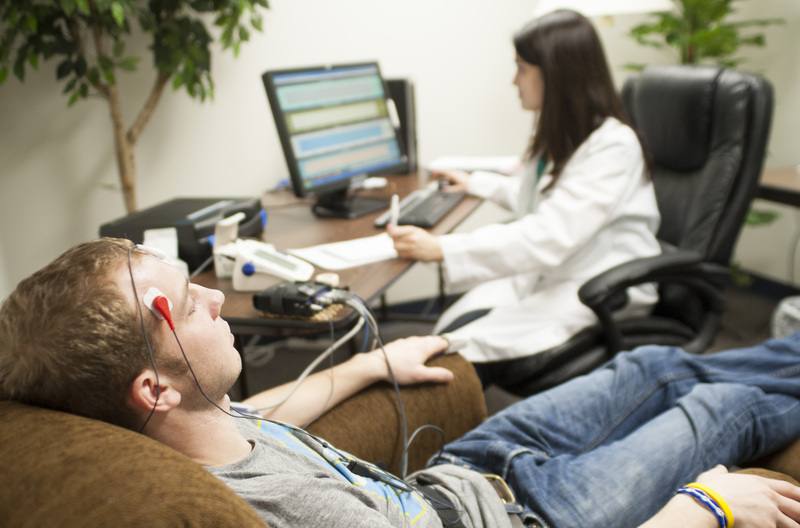 EEG Biofeedback (neurofeedback) is a non-pharmacological therapy that uses brain monitoring to target the relationship between the mind and the body. Neurofeedback involves teaching people effective ways to control body functions. EEG Biofeedback is more inclusive and involves opening up new avenues for communication between your body and your brain. EEG biofeedback is like educational training for your brain. EEG Biofeedback is noninvasive and has few known side effects. The therapy begins by placing sensors on the scalp and ears. These sensors are then connected to a device which depicts a graphical recording of the electrical activity of the brain, a.k.a. brain waves. Then the therapist helps the patient to connect specific mental states with her brain waves. Feedback about brain activity is shown to the patient by a video game. The therapist encourages the patient to make the video game work with her brain. When the patient is able to control her brain waves in the desirable frequency, the video game provides rewards but when undesirable brain frequencies occur, progress in the game is slowed or stopped. Learning to control brain waves is a gradual process and for most conditions, initial improvements can be observed within ten sessions. In the case of hyperactivity and attention deficit disorder, training usually is recommended for about forty sessions and more sessions may be needed depending on the severity. (EGG spectrum website, 2016). According to a 2007 study in the journal of Alternative Medicine Review, EEG Biofeedback is a promising alternative treatment for patients with attention deficit/hyperactivity disorder (AD/HD). In large-scale clinical trials, the efficacy of EEG biofeedback for AD/HD is comparable to that of stimulant medications. They also noted that many different EEG biofeedback protocols for AD/HD are available. To learn more about EEG Biofeedback therapy visit the EEG Spectrum Website or click here to see a list of EEG Biofeedback therapists in California. This video will also help you understand a bit more about EEG Biofeedback. Previous Treating my ADHD with Medicine. Next Using Transcranial Magnetic Stimulation (TMS) for ADHD.